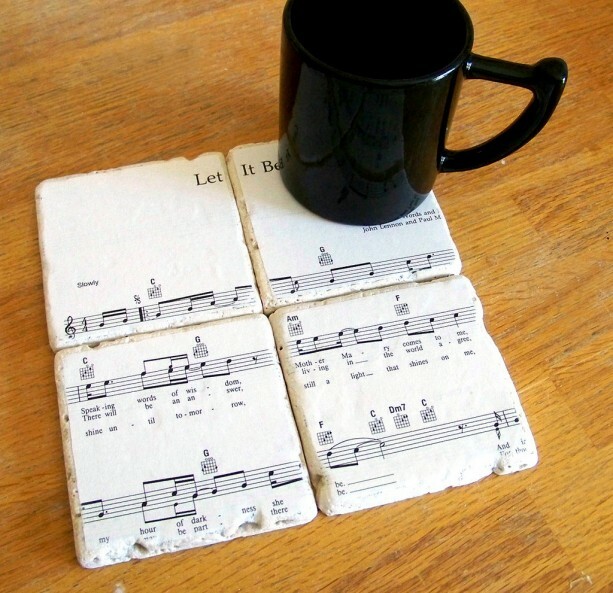 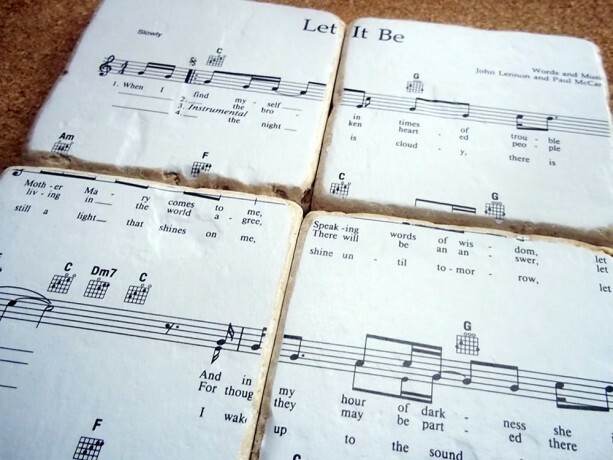 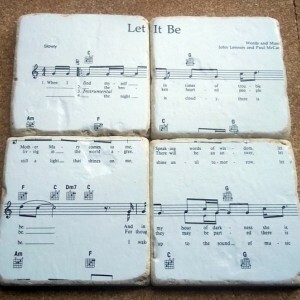 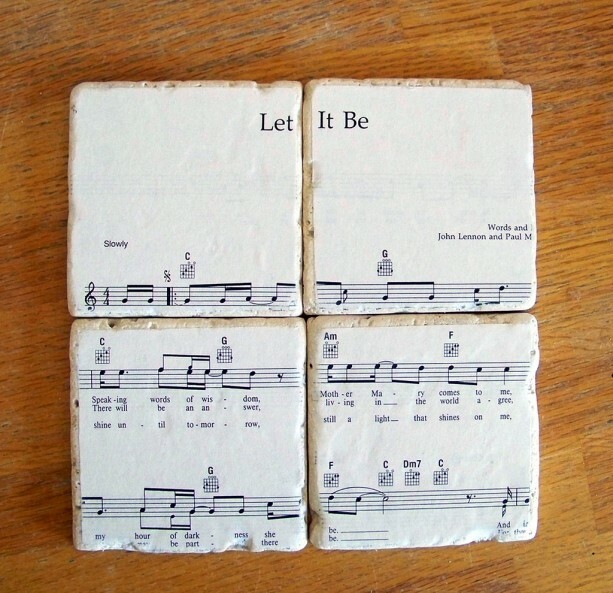 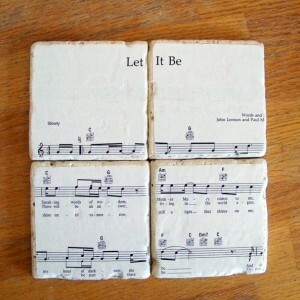 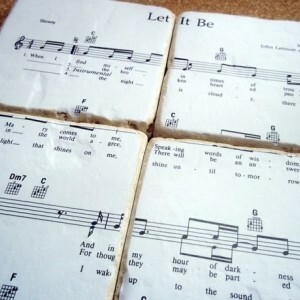 For The Beatles fan: a set of 4 tumbled marble tiles decoupaged in one of the Beatles most popular songs - "Let It Be". 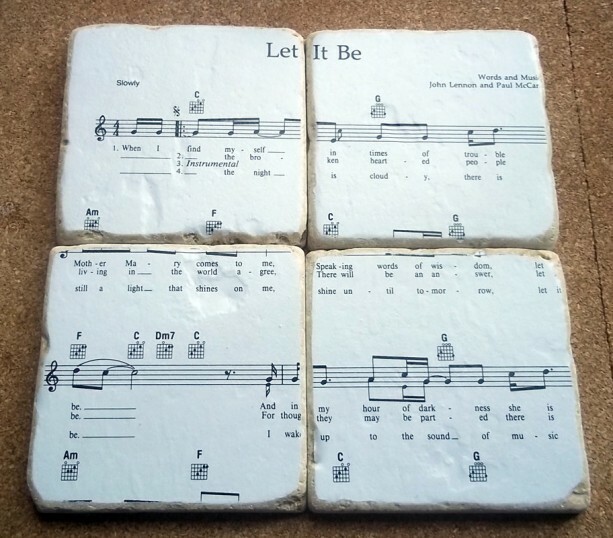 The tiles measure 4 x 4 inches, are protected with 3 coats of waterproof varnish on the top and cork on the bottom. They arrived in a glossy, white gift box, perfect for giving. 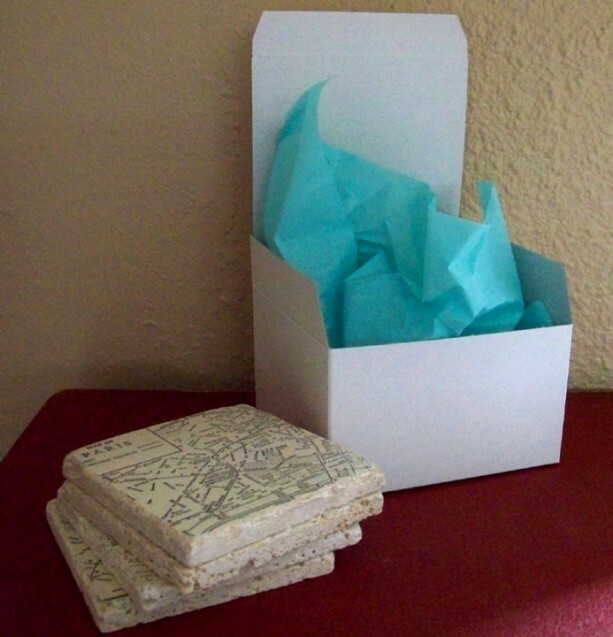 * Made to order - will ship within 3 days of ordering.